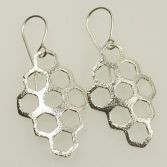 My elegant Sweet Honeycomb Dangles look stunning on and would complement any outfit whether casual of formal wear. 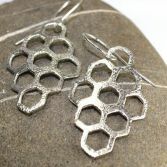 They are made using my solid sterling silver honeycomb slice ( unique to JBJ) and handcrafted sterling silver ear wires. 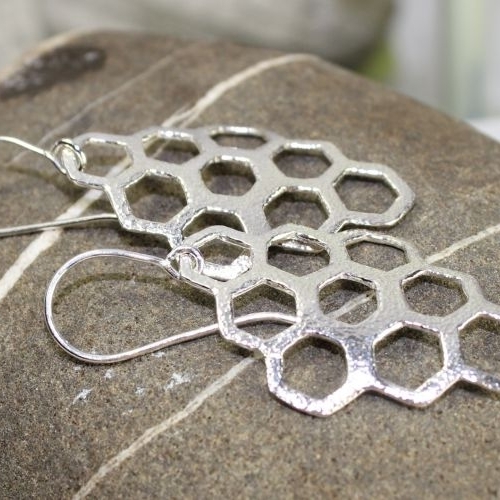 Your Sweet Honey Dangles have full UK hallmarks stamped at the Edinburgh Assay Office and all my sterling silver is source from a reputable UK bullion dealer. Your Sweet Honey Dangle earrings will be presented to you in one of our signature gift boxes and posted via Royal Mail 1st class recorded delivery (signed for) to any UK address free of charge.